Tin Pan Alley Reunion, with opening by Shayn Wills – Capital Blues Inc. 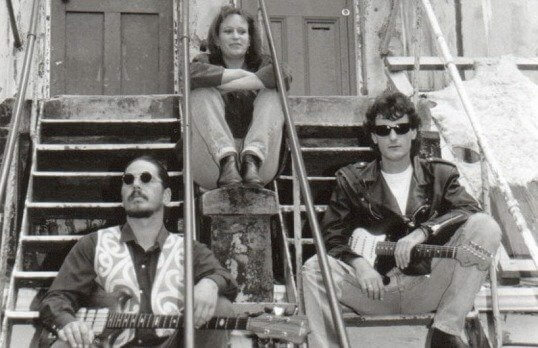 Formed around 1991, the definitive line up for the Wellington band ‘Tin Pan Alley’ was Blair Allen (guitar), Ron Kahu (bass) and Anje Glindemann (then Craig, on drums). Back in the day, this lean three-piece band travelled the country from the East Coast to the Chatham Islands playing their own tight and punchy versions of blues, old and new to enthusiastic and supportive crowds of festival, pub and club goers. They had energy and style with Blair Allen enthralling even the purist of aficionado in the crowd by wringing out everything he could from his Fender Stratocaster and breathing new life into songs by blues greats like Elmore James, Albert King, Stevie Ray, Jimi and more. The band played their last gigs together around 1997, a highlight, being one of the acts at the first Blues Bash for the relatively new Capital Blues Club in Wellington that year. More than 20 years on, the planets have aligned and Tin Pan Alley is putting together a show to celebrate all that was good about this band. Blair has been working hard at resurrecting some of the favorites and a few new tunes too, Ron will come down from Taranaki to play bass and Anje will join them on drums. At some point in the show, they will also ask a couple of special guests to join them on stage, Neil Billington with his virtuoso harp style (no stranger to jamming with Tin Pan Alley) will step up in his inimitable style, also Tim Boyd (a long time friend and fellow musician) will add fabulous Hammond organ to the mix and there might be few extra surprises thrown in for good measure. All in all it should be a rollicking good time and a trip down memory lane for all, to boot! Albert King, Junior Wells, Robert Cray, John Hammond Jnr, Canned Heat, Duke Robilard. These names practically form the basis of the Blues as we know it today. To have played support gigs for one of them would be a musician’s career highlight, but to have played support gigs for all of them you would have to be a musician of world class standard. Well, let me just mention one name, Shayn Wills. Between 1992 and 2006, Shayn Wills played support for each and every one of these legendary innovative musicians. Watching Wills play it becomes glaringly obvious that he is something very special. For starters, his ability to play harmonica, guitar and sing at once is astounding and entertaining, (“ …the way Shayn plays guitar harmonica and sings all at the same time astounds me” Midge Marsden). And he has his own unique style of playing. His playing comes from a place of sincerity and heartfelt passion, and there is something about his playing that is distinctly New Zealand. You could easily say he has created the term “New Zealand Blues”. At 48 Shayn has now had 30+ years of playing, learning and living the Blues. His voice, guitar and harmonica playing have matured into something extremely special and unique. 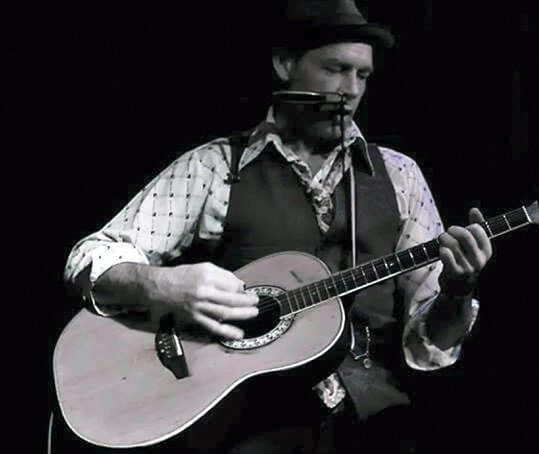 His complex guitar rhythms, innovative harmonica riffs and melodic voice make him a must see act. Julie Oakley, a reviewer for the national music magazine “Real Groove” is quoted to say, “Wills is one of the original black Mississippi Blues legends, reincarnated and living in Auckland, (New Zealand)”.